Military and government officials are pushing a nonlethal missile that proponents say could shut down a North Korean missile launch in its tracks. The missile uses readily available technology, but politicians have criticised the Pentagon for being slow to adopt it and systems like it. 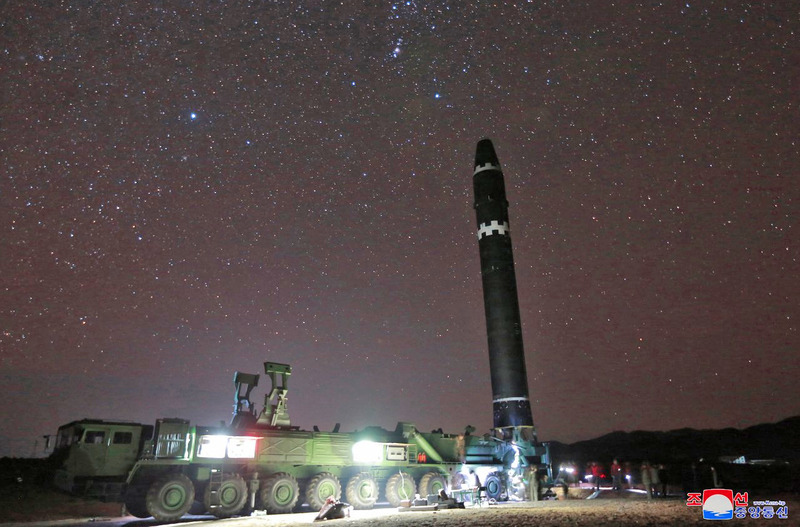 While the missile may have advantages over a traditional one, it could still massively escalate tensions with North Korea if used. The White House has been informed of a newly developed cruise missile that proponents say could knock out North Korean missile launches in their tracks without killing anyone, NBC News reported on Monday. 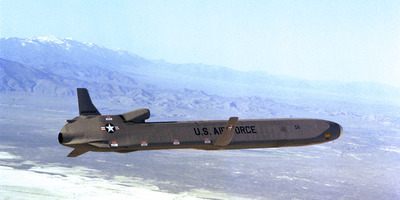 The missile – a Boeing AGM-86B air-launched cruise missile with a payload known as the Counter-electronics High-power Microwave Advanced Missile Project, or Champ – launches from planes, just like the nuclear variant commonly found on B-52s. But instead of a nuclear payload, the Champ payload fires microwave pulses that are designed to disable electronics in their path. It has successfully shut down electronics in multistory buildings in previous tests. 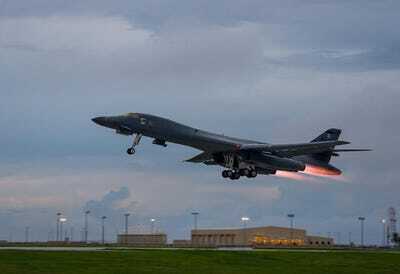 David Deptula, a retired US Air Force general who ran the US’s air war in Iraq, told NBC’s “Nightly News” that the new missile could “quite possibly” shut down a North Korean missile on a launchpad. “Command and control centres are filled with electronic infrastructure, which is highly vulnerable to high-powered microwaves,” Deptula said. Democratic Sen. Martin Heinrich, one of several civil and government officials who support the Champ system, told NBC the missile hadn’t been accepted or widely deployed because of roadblocks within the Pentagon. “The challenges are less technical and more mental,” said Heinrich, who sits on the Senate Armed Services Committee, adding that “the tendency within the Pentagon is oftentimes to continue to try and perfect something,” like existing missile defences and weapons, rather than employ a new technique. Rep. Duncan Hunter, a Republican on the House Armed Services Committee, echoed that sentiment. Hunter blamed a broken defence industrial complex for the difficulties in adopting new technologies. US Air ForceA Lancer takes off from Andersen Air Force Base in Guam in October. But while the Champ system may represent advantages over existing missile defences that fire interceptors after a missile has launched, exited the atmosphere, and separated into possibly several warheads, it’s not without disadvantages. The system has to get close to its targets before knocking them down, meaning it could have to violate North Korean airspace, which could be perceived as an act of war. And if North Korea spotted the incoming cruise missile, which looks exactly like a nuclear-capable cruise missile, it may respond automatically, regardless of the missile’s nonlethal nature. Military equipment has redundant wiring and insulation to harden it against electronic warfare and attacks like the Champ, so the system would most likely need more work before it could be certified as capable of shutting down a missile launch – if it could achieve such a thing. For now, NBC reports, officials have briefed the White House on the Champ system and its availability. Whether it fits into President Donald Trump’s strategy of “maximum pressure” against North Korea remains to be seen.